Check out the trailer for Occupation. 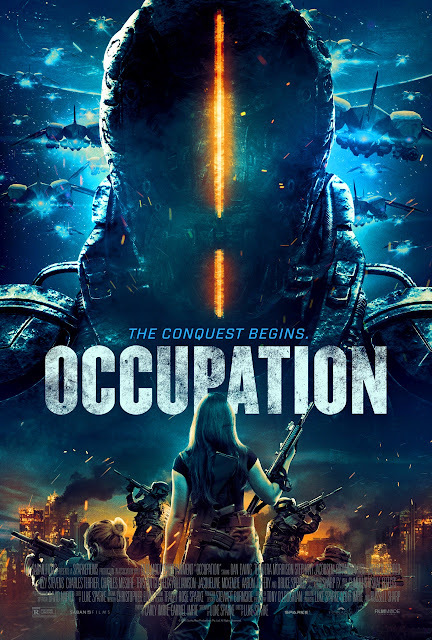 Starring Dan Ewing, Temuera Morrison, Stephany Jacobsen, Rhiannon Fish, Zachary Garred, Izzy Stevens, Charles Terrier, Charles Mesure, Trystan Go, Felix Williamson, Jacqueline McKenzie, Aaron Jeffery, and Bruce Spence. In Theaters, VOD and Digital HD on July 20th (USA).